The Bruins may have missed out on the John Tavares sweepstakes, but they boast one of the deepest rosters in the NHL. 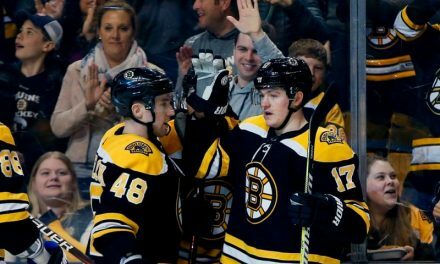 In recent years, highly rated prospects such as Ryan Donato, Charlie McAvoy, David Pastrnak, and others have made their NHL debuts in Boston. As the Bruins roster for next season takes shape, many Bruins prospects will be looking to make their mark. There is not enough space for all of them, leaving Don Sweeney in a tough spot that many general managers wouldn’t mind being in. As the offseason progress, Sweeney may use some of these prospects to improve the roster. As the Bruins look to improve their roster, one player they should consider is Danton Heinen. He is coming off a solid rookie season in which he had 16 goals and 31 assists. He was very effective on the powerplay, as he had 12 points on the man advantage. Heinen is a good playe,r but his skill set is not overwhelming. If the Bruins were to deal him, they have prospects in Providence who could step up and fill the void. Three centers in particular who have high potential are Ryan Fitzgerald, Trent Frederic, and Jakob Forsbacka Karlsson. 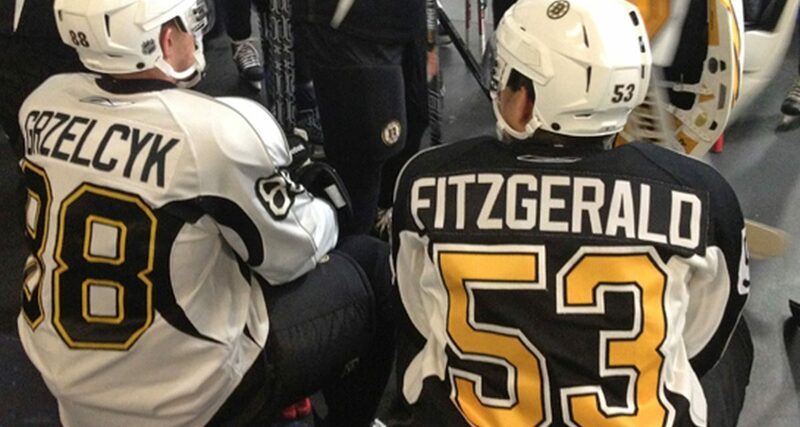 The Bruins could also look to move one of these three depending on what trades come along. Unlike Heinen, Peter Cehlarik has yet to stick on the Bruins roster. Over the last two seasons, the Bruins prospect has appeared in 17 games for Boston. In his limited time, he has scored one goal and recorded three assists. 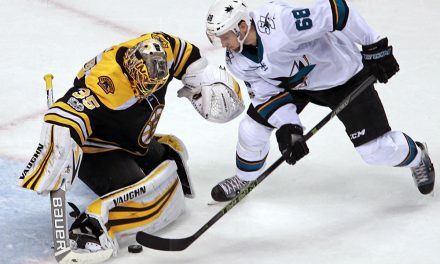 Cehlarik is one of the Bruins highly touted young players but depth has prevented him from gaining a permanent spot. 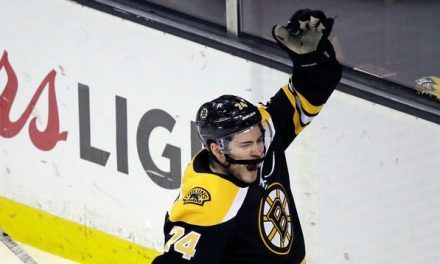 Involving him in a trade package would be beneficial for the Bruins; he has yet to make a significant impact but still holds some value on the trade market. 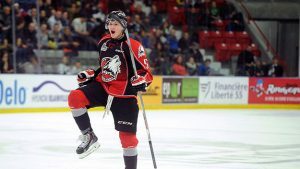 Jeremy Lauzon, the twenty-one year old defenseman, is one of the most highly touted prospects in the Bruins system. He was selected by Boston in the second round of the 2015 NHL draft. 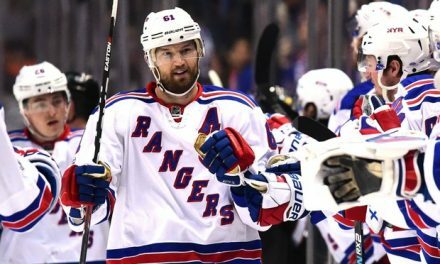 He was seen as a puck moving defenseman, which would be a perfect fit for the Bruins roster. In 52 games for Providence last year, he had only one goal and six assists. While he still needs to improve his overall game, he is still one of the Bruins top prospects. 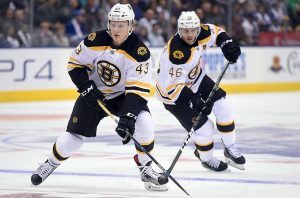 The Bruins also have Urho Vaakanainen and Jakub Zboril in Providence, meaning the Bruins could deal from a position of strength. So far this offseason, it seems as if general manager Don Sweeney is preparing for a deal. The Bruins will have 11 defenseman competing for six spots, among whom are Lauzon and Vaakanainen. If the Bruins want to acquire an impact piece, many of their young prospects could entice other teams into a blockbuster agreement. The offseason is young and these three Bruins prospects, among others, are likely to be in another organization by the time season begins.